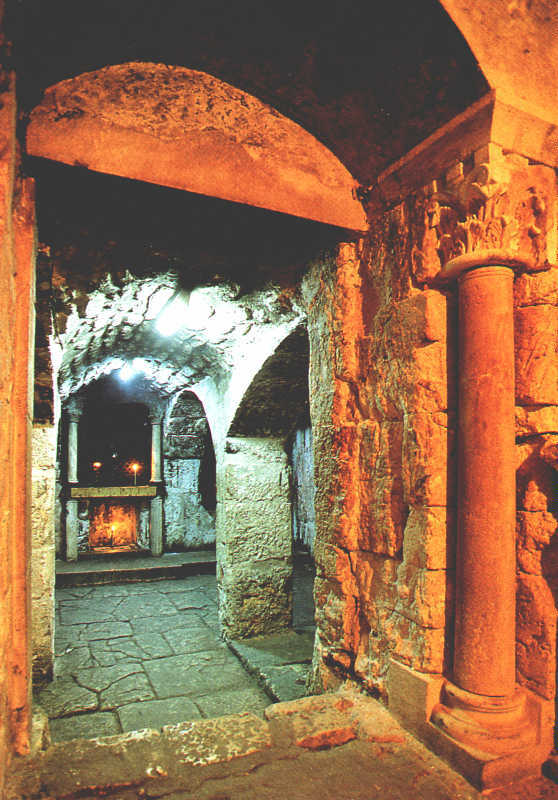 Kuvuklia (Latin "Edicula") is a small building inside in center of the church. 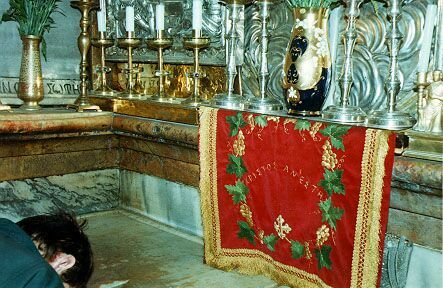 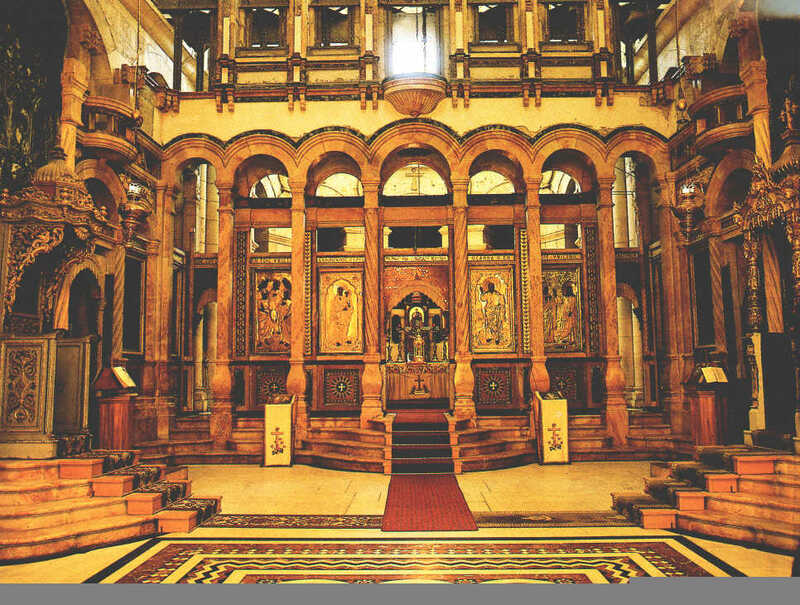 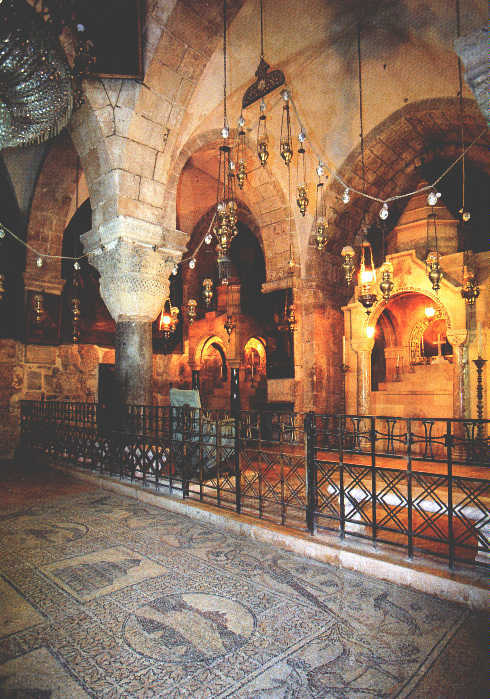 It includes the Holy Sepulchre. 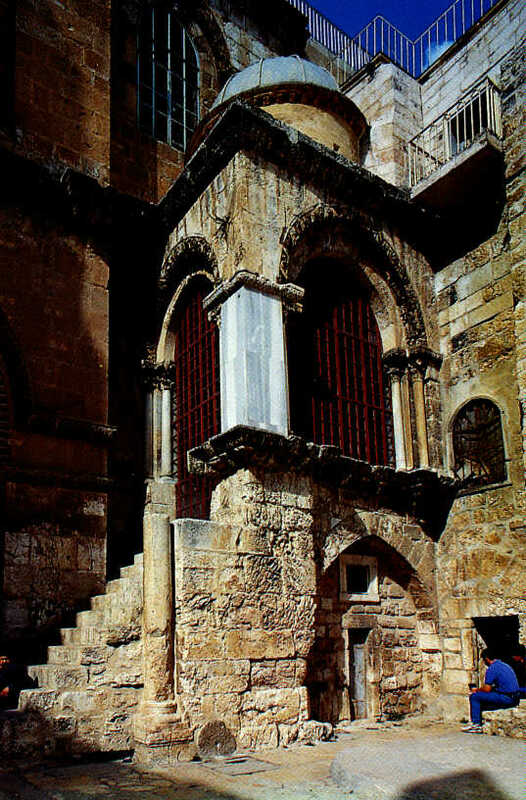 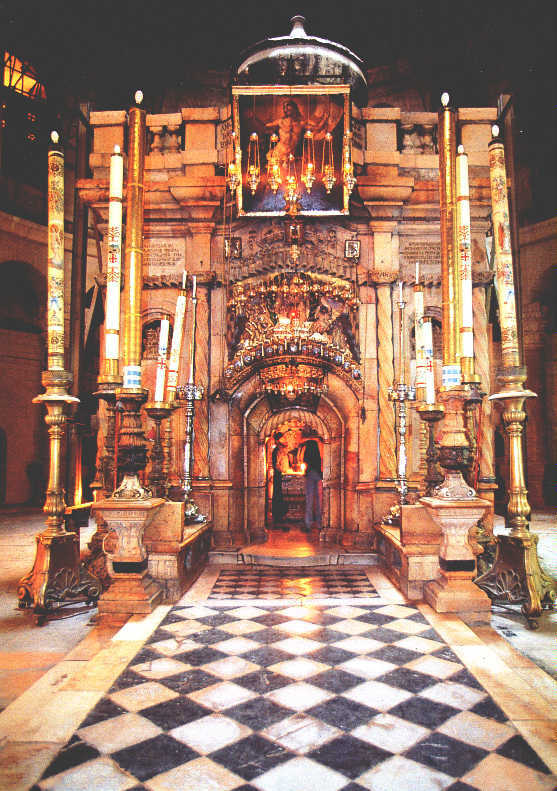 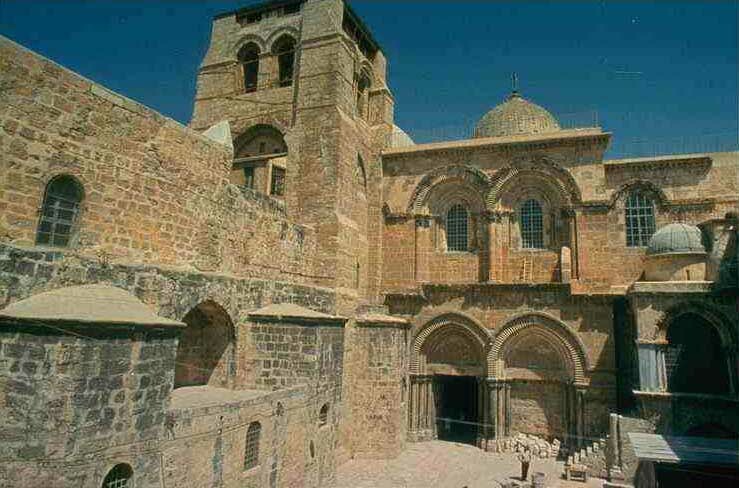 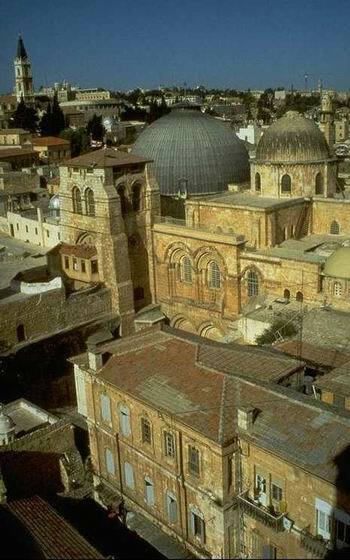 Kuvuklia consist of two main parts: western where the Holy Sepulchre is and eastern (3.4x3.9 sq.m.). 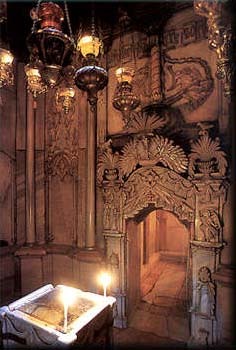 You can see the door, throughout it Orthodox goes in during the ceremony of Holy Light. 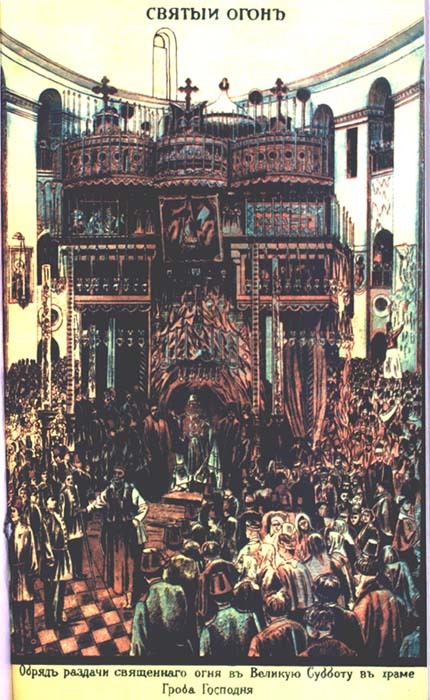 It is small in size 112x72 cm. 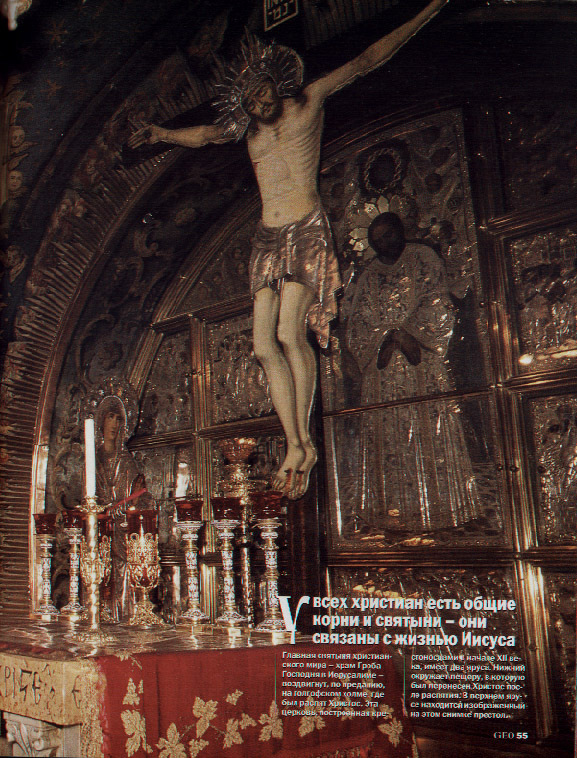 The icon of the Resurrection, gifted by tsar Nikolay the Second is hanged over it. 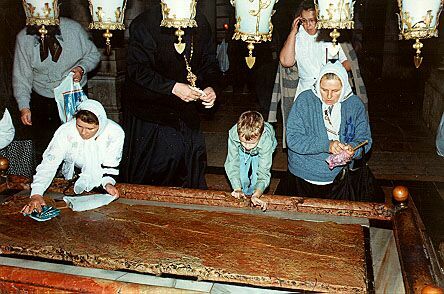 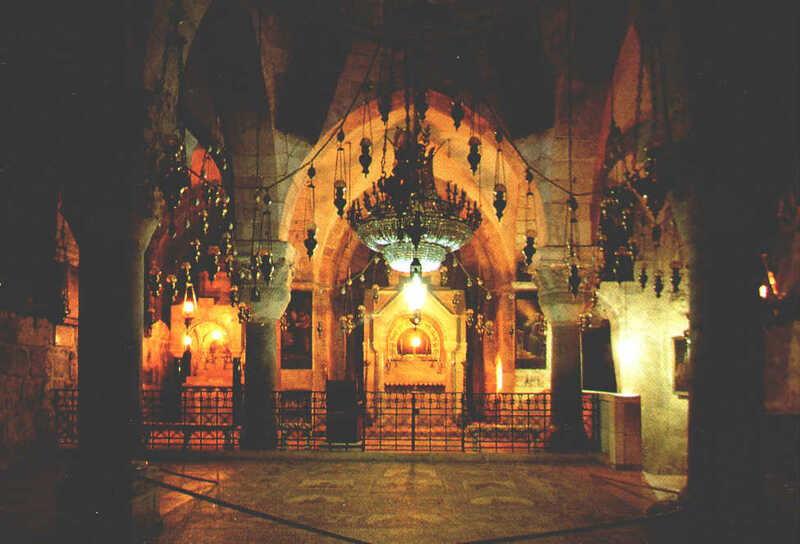 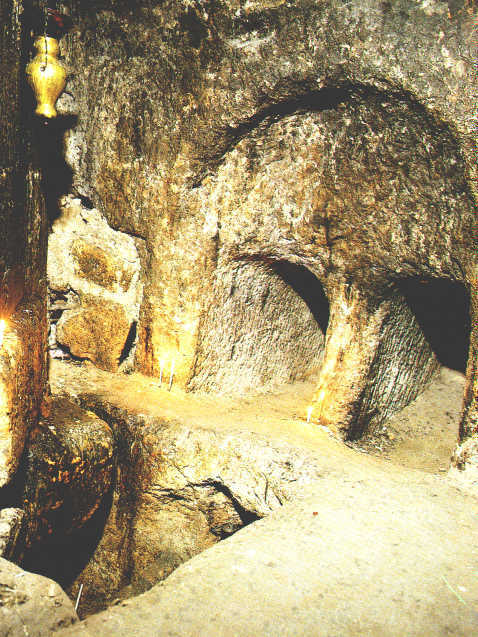 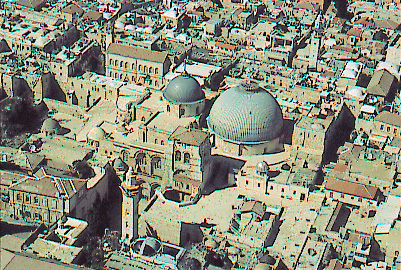 Thirteen the same silver oil-lams burns near the Holy Sepulcher, that is owned by Orthodox church, thirteen catholic, thirteen armenian and for coptic oil-lamps. 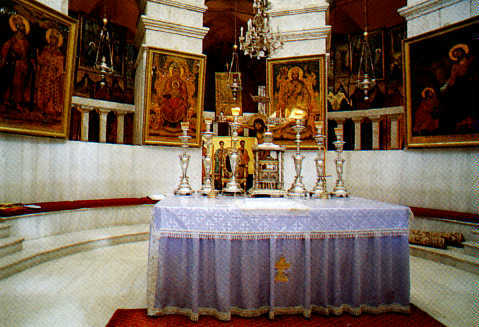 The kuvuklia during litania of Holy Fire on a picture of XIX c.
The Icon of the Savior. 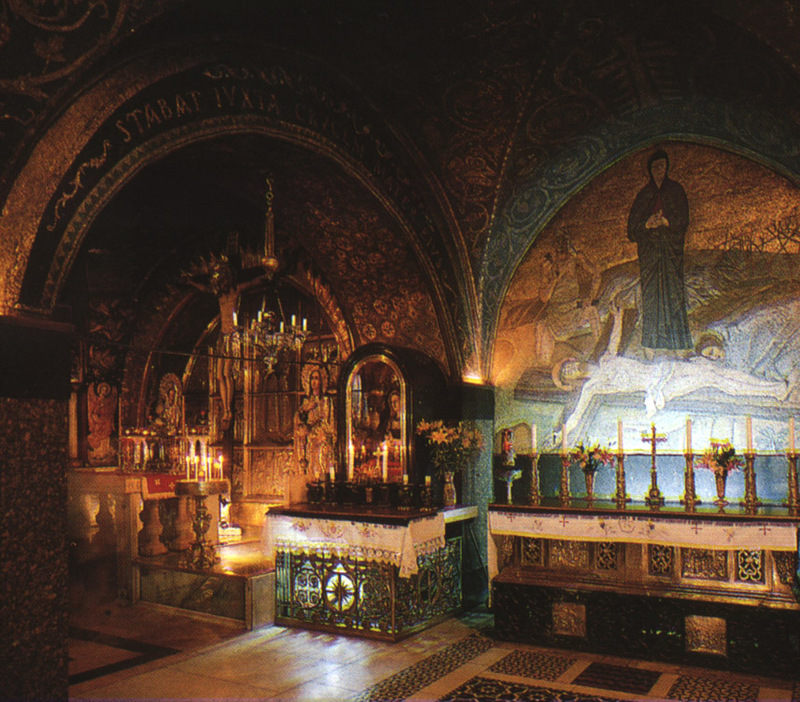 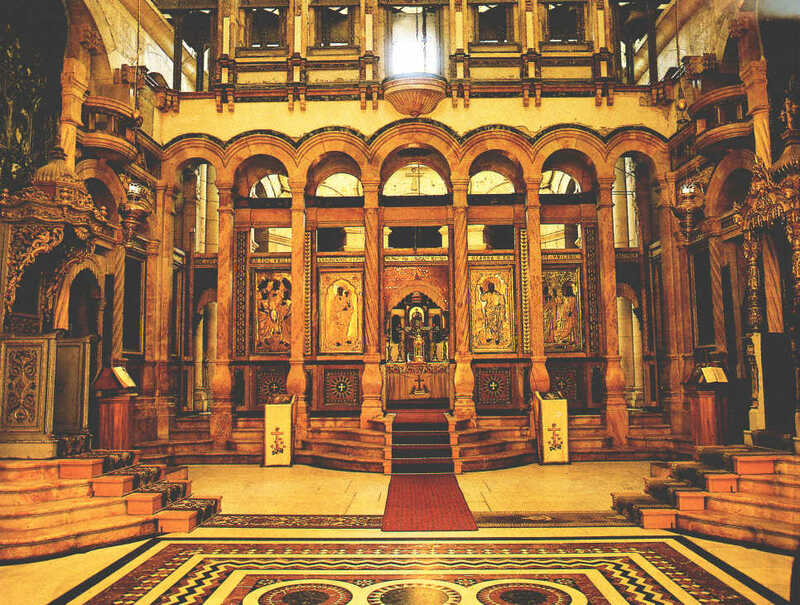 Altar of the Crucifiction. 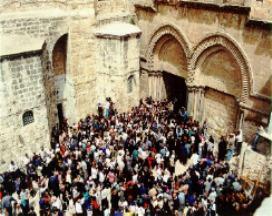 Calvary. 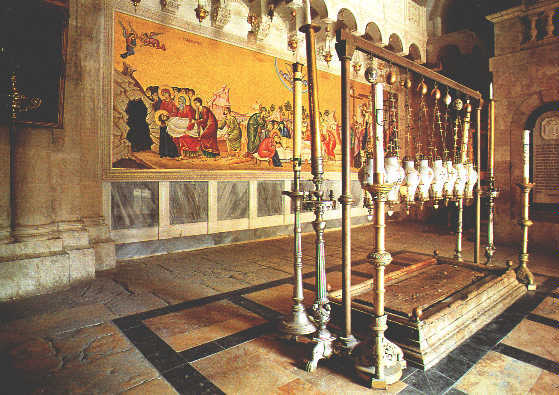 Icon of The Resurrection Church (inside of Church of Holy Sepulchre) and The Chair of Jerusalem Patriarchy.